Among other things, last week I have been very focused and working on the integration of nautilus-sendto in Cheese. Sharing videos and images with Cheese. The truth is, that even using Bisho now, nautilus-sendto is not showing the libsocialweb accounts for me, which is something I have to go on investigating. Bisho is also not very stable. 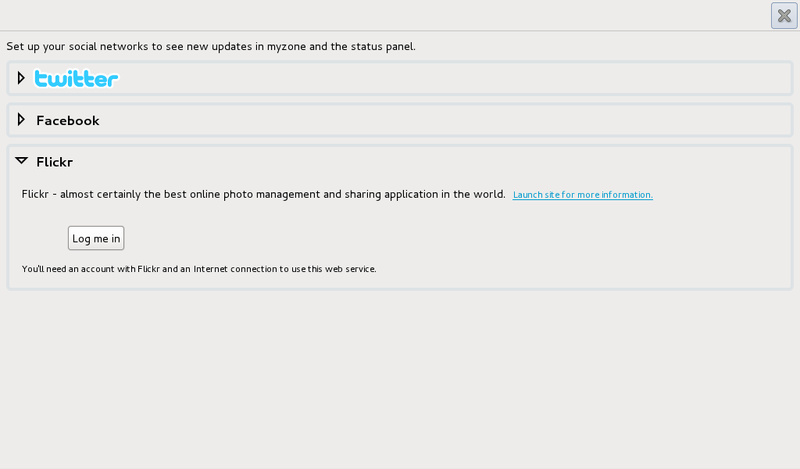 It is currently showing just 3 different account types: Facebook, Twitter and Flickr, and just Flickr is working. 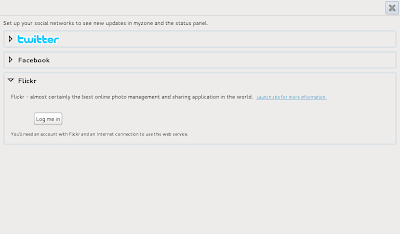 After what has happened with Meego and the integration of GNOME Online Accounts (GOA) in GNOME, it might be nice and wise to migrate from Bisho, to GOA, another thing I filed a bug about. After getting familiar with nautilus-sendto, I started working on the integration itself and made a small wrapper in Cheese. Now we can say, that Cheese has the capacity to share images and videos through different technologies. Look that I just said the capacity, which does not mean that is completely working yet! For my changes, I have created a new "shareable-media" branch in Cheese that you are very welcome to test! 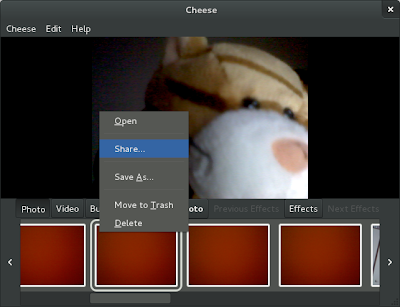 Share images and videos Cheese option. Integration of nautilus-sendto in Cheese. 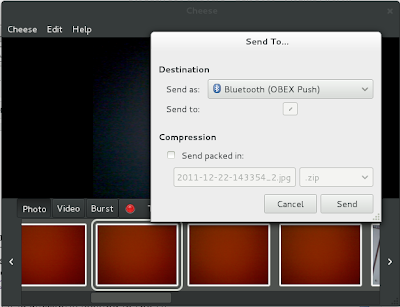 I have also realised, that multiple selection of images and videos is not completely working on Cheese. A user is able to select several images and videos that are together one next to the other, but not different separate ones, which is something we will also try to fix. I will write back soon with more updates! Thanks for reading! Looks like a good summary of everything that we chatted about for the last week or so, and I am really happy to see you filing patches and fixing bugs. With such quick progress, I think that you might be able to push the changes in your branch to master soon!